FLAMEMAX, Holiday break - China Foshan Nanhai Flamemax Catering Equipment Co., Ltd.
Chinese Dragon Boat Festival is coming.Our company, FLAMEMAX, is going to have a 3 days break from 28th, May to 30th, May. In order to share the happiness with you, we would like to introduce our special culture to you. Chinese Dragon Boat Festival is also known as Duanwu Festival, which falls on the fifth day of the fifth lunar month every year. 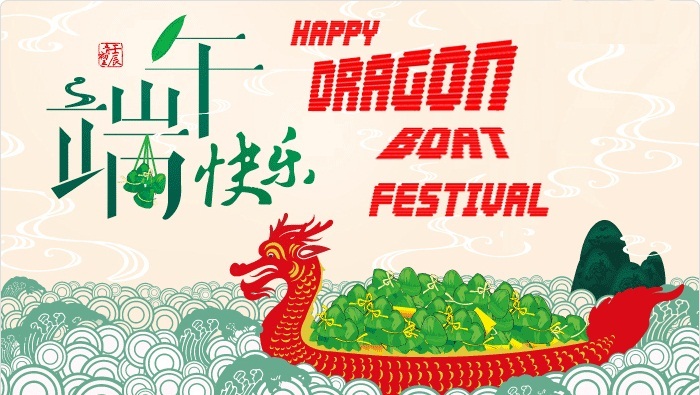 With a long history of over 2000 years, dating back to the Warring States Period (B.C 403 — B.C 221), Chinese Dragon Boat Festival is one of the most three important lunar festivals in China, along with Spring Festival and Mid-autumn Festival. The main purpose for this festival is in order to commemorate Quyuan which is a excellent offical and patriot poet. During his life he strongly advocated recommending talents from all social levels, enriching the country and building up the military forces. However, his advocates were strongly rejected by members of aristocracy as it would destroy their interests. Then Qu Yuan was forced to resign and was banished to the remote area of the country, which was the time when he wrote a lot of famous poems to express his loving for the Chu State. In B.C 278, the capital of Chu State was captured by the Qin Army. Qu Yuan was so sorrow that he committed suicide into Miluo River after hearing the news on the fifth of the fifth lunar month. Locals were very sad about the death of their respectable poet and state official. Every year on this day folklores would commemorate him spontaneously. And we have four special customs for this festival. They are Dragon Boat Racing and Eating Zongzi, Hanging Mugwort Leaves and Calamus,Wearing Sachets. Dragon Boat Racing is the major custom to celebrate Dragon Boat Festival. When Qu Yuan drowned himself into the river, many fishermen rode their boats on the river, trying to find his body. They tried so hard that most even rode boats to Dongting Lake. Though they failed to make it, every year later locals would ride dragon boats for commemorating Qu Yuan, hoping to disperse creatures under the river in this way. After Qu Yuan committed suicide in Miluo River, fishermen failed to find his body but failed. Some locals threw rice rolls, eggs and meat into the river to feed creatures under the river, hoping they wouldn’t eat the body of Qu Yuan. Years later people used leaves to roll the rice rolls and tightened them with colorful threads, which is known as Zongzi (棕子). When Dragon Boat Festival comes, most households will sweep the houses and the yards. Then they will hang mugwort leaves and calamus. Usually the plants are hung on the doorframes and the main hall. In some areas people will use mugwort leaves and calamus to make flowers circles or tiger-shape, which are believed to be able to drive out the disease miasma. During Dragon Boat Festival, usually kids would wear sachets in the countryside areas. It is believed that by doing so it helps driving out the evil spirit and avoiding illness. At the same time, people think that kids with sachets look more adorable. Inside the sachets are cinnabar, realgar and aromatic odor. The shapes of sachets vary and they are strung together. In some cities of southern China, some young people will also use sachets to express their affections for each other.